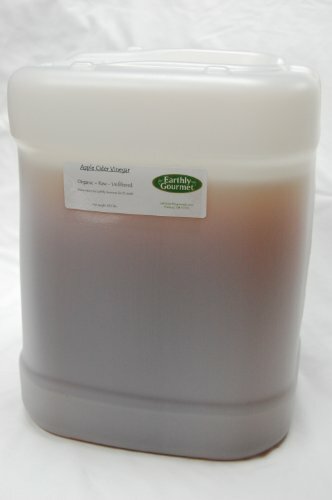 Raw unfiltered apple cider vinegar made from whole organic apples, aged in wood. Undiluted and contains no preservatives! Hippocrates, the Father of Medicine, in 400 BC treated his patients with natural apple cider vinegar for it's powerful cleansing, healing and germ fighting qualities. If you have any questions about this product by Earthly Gourmet, contact us by completing and submitting the form below. If you are looking for a specif part number, please include it with your message.